Part of the Science in the Real World series, this book anchors the philosophy of science with cool research and concrete, everyday examples. Designed to align with the USA’s new Common Core standards, it includes sidebars, primary source excerpts, and questions to help kids engage with the text. A grade 4 reading level. I used the scientific method while doing research for my PhD. It’s not nearly as tidy and straightforward as most books make it sound! Melissa Harrish, who designed my lovely fox logo, stayed at my house while I was working on this book. The hardest part of writing Scientific Method was finding a quotes from real scientists that would interesting and understandable to kids. "Finely tuned to the needs and methods of a CCSS-based curriculum... 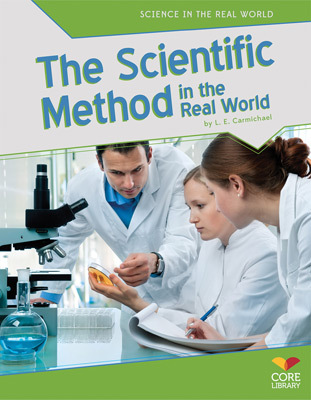 The volume on the history and uses (in and outside the lab) of the scientific method are particularly valuable." "This series will be useful for a library or classroom wanting to increase their science collection..."